If you’re getting a new kitchen fitted, our Which? 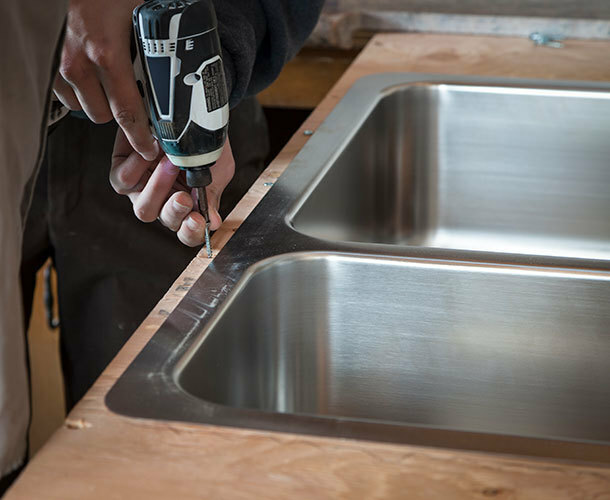 Trusted Traders-endorsed kitchen installers give us the benefit of their experience so you can get an idea of what to expect. How much does an installation cost? How does an installation work? Should you stay on site during the installation? What’s the sign of a good installation? Can a new kitchen change your life? Well, it can certainly change how you use your home. Kitchen design is a very personal matter, reflecting diverse households and cooking styles – some love to create like they’re on MasterChef, while others are fans of ready meals and ping cuisine. You want your kitchen to reflect your lifestyle. If you’re thinking of buying a new kitchen from one of the major brands, Which? research into the best and worst kitchen brands can give you an insight into the experiences of other people who have bought new kitchens recently. If you want to find a Which?-endorsed kitchen installer, Which? Trusted Traders has accredited installers in your area. Alison told us that Bluebell Fitted Furniture Ltd employs its own fitters, which is unusual in the industry. It’s far more common for customers to buy a kitchen either from a manufacturer or through a designer, who may recommend kitchen fitters they work with regularly. If the installer is a Which? Trusted trader, you can check the reviews on their profile to see how previous customers have rated them. If they’re not a Which? Trusted trader, ask an installer to see pictures of the kitchens they’ve fitted previously. Also, ask to speak to their previous customers, who can tell you what the installer was like to work with. A reputable installer will not mind being asked for these recommendations. Always check that any gas work is carried out by a Gas Safe registered engineer. You can ask to see their Gas Safe registration card to check – it will have their qualifications listed on the reverse of the card. See our article about the Gas Safe Register for more details. Equally, any electrical work must be carried out by a suitably qualified electrician. All our Which? Trusted Traders-endorsed electricians are suitably qualified, and if your installer is a Which? Trusted trader, again they should ensure any subcontractor is suitably qualified. If you’re in any doubt, ask to see proof of the electrician’s qualifications, and check whether they are registered with one of the government-approved schemes, such as NICEIC, ELECSA, NAPIT or others. Avoid any electrician who is unwilling to show you proof of their qualifications. The cost of installation will vary depending on the size of the kitchen, how complex it is to fit, and the overall value of the kitchen. Prestige Installations UK Ltd’s Eddie Douse said his installation charges usually work out at around 35% of the value of the kitchen. A more expensive kitchen will usually have more worktops and units, and so therefore be more expensive. Items that can increase the cost are bespoke units or worktops that need to be installed separately, individual or unusual design elements, or lots of joins in the worktops. 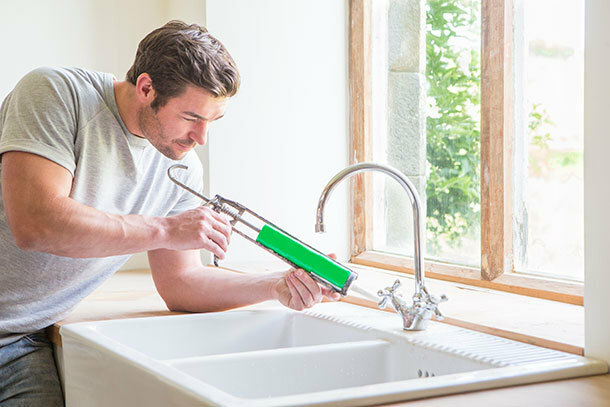 Installing a kitchen is a multi-trade process, potentially involving electricians, plumbers, carpenters, plasterers, flooring specialists and tilers, depending on the details of the kitchen being installed. While some people may be able to work across a number of areas, it’s essential that any electrical and gas work is carried out by appropriately qualified traders. The details of the installation will depend to some extent on the nature of the kitchen being fitted, and whether there is a lot of repair work to the property going alongside it. 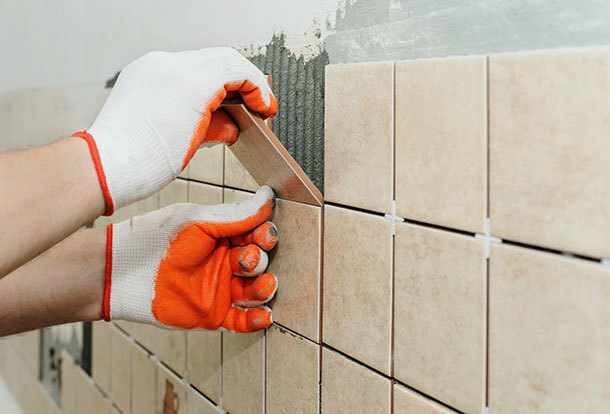 Re-plastering walls can significantly extend the duration of the project because of the drying time of the plaster, for example. The simplest process is if you’re working with a blank slate in a new-build property. However, in most cases, there will be a pre-existing kitchen that needs to be removed. Our traders gave different responses regarding the length of a project. But, assuming the property is in reasonable condition, an average-sized kitchen installation could take around 7 to 10 working days. This will vary depending on the size of the team involved. A smaller team could require 15 days or more. Step 1 is removing the pre-existing kitchen – taking out and disposing of or storing all units and appliances. An electrician and a plumber may need to be present at this stage to make wiring safe and/or close off the water system. Step 2 - once everything is out, your installer can double check the measurements. Then the plumbing and electrical work for the new kitchen will take place. Step 3 – repairs to the floor and walls. This may require a plasterer to skim the walls. Plasterwork will need to dry – the installation may well take longer if your new kitchen needs a full replaster. If you’re having a new floor covering, then the uplift of the existing flooring and its replacement with wood, laminate, tile or other material will take place at this stage. Step 4 – painting the walls. Step 5 – installing the base units for the cupboards. 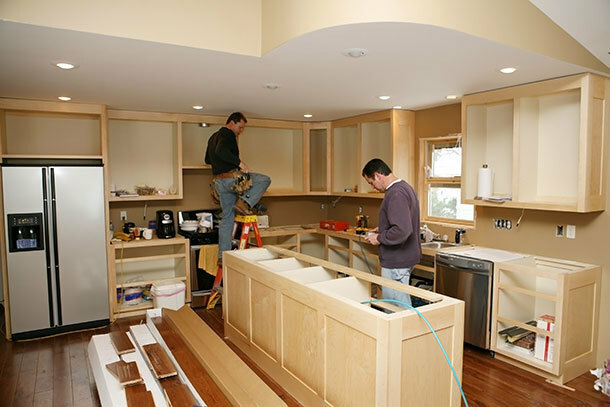 Step 6 – installing the worktops. Again, this can cause a delay if a separate company supplies the worktops and they need to create and work from their own templates of the kitchen. Step 7 – a second fix for any plumbing requirements, plus installing tiles as required. Step 8 – certification and handover. At the end of the installation, your installer should supply you with the official certification to show that any electrical and gas work meets industry standards. When your installer hands over the new kitchen to you, you can check it over with them to ensure you are happy with the final result. Alison Reuben said that many of their clients go away on holiday for two weeks while their new kitchen is being installed. However, this requires a high level of trust in your installers, as you’re handing over the keys and effectively leaving them to it. As Bluebell Fitted Furniture Ltd has designers that project-manage the installation, this works, as they can deal with any issues that arise. But if you’re not working with a company that provides a full project-management service, you need to be available to sign off decisions if there are any changes necessary. There are often hidden issues that only come to light once the original kitchen is removed. Sometimes there will be hidden alcoves, or pipes in the wrong place, and that’s something you can’t see until the original kitchen is ripped out. If you’re staying in your home during an installation, you need to be prepared for disruption. Even though traders will do their best to minimise mess, as soon as they need to touch plasterwork, there will be dust, which can spread easily throughout your property. Eddie Douse of Prestige Installations UK Ltd emphasised that customers often don’t realise just how disruptive the process can be. In most cases it means using the laundrette, cooking in a microwave and possibly washing up in the bath tub until your new kitchen is complete. It may be possible to set up a temporary kitchen in another room, space and budget permitting, if an installation is going to be a lengthy process. drawers and cupboards open and close properly. But, ultimately, a good installation is one that you, the customer, are happy with, and your installer should be keen to work with you to achieve that.